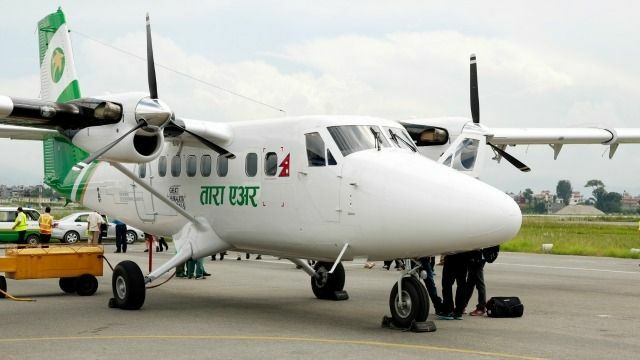 A plane bound for Jomsom from Pokhara in Kathmandu lost contact with air traffic control on Wednesday, leaving the fate of passengers on board unknown. According to reports, the 'Tara Twin Otter' plane was carrying 21 people including three crew members and two children. The aircraft with a call sign 9N-AHH, had taken off from the Pokhara Airport at 7:50 am today. It was in contact till 8:50 am, according to an official of the Pokhara Airport. According to officials, a Nepal army chopper has been dispatched to conduct a search operation.